tastes really good, it is available anywhere, anytime and it is easy to prepare. So let’s do like in Europe and actually use it as a vegetable on its own and not just to add flavor to the chicken soup. 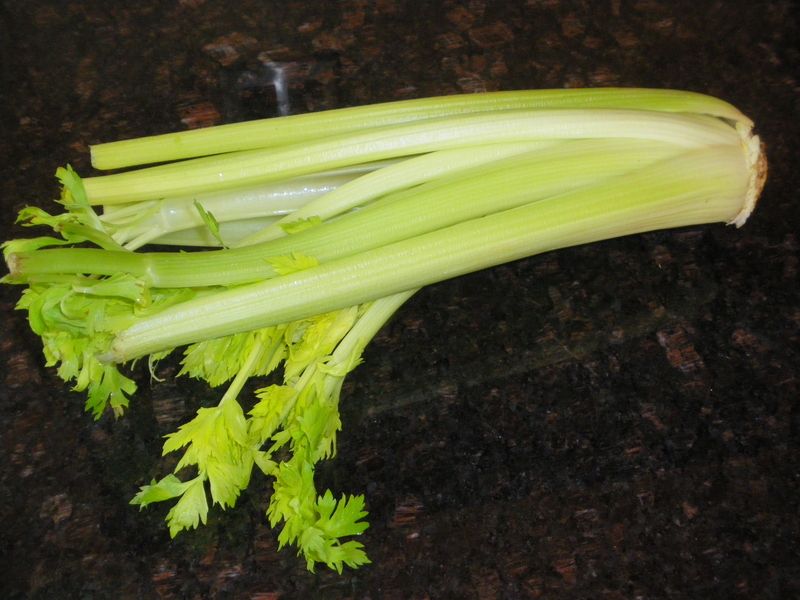 One freshly cut celery stalk, one onion, and a clove garlic is all you need. It is one of the easiest dish to make and it smells so good! 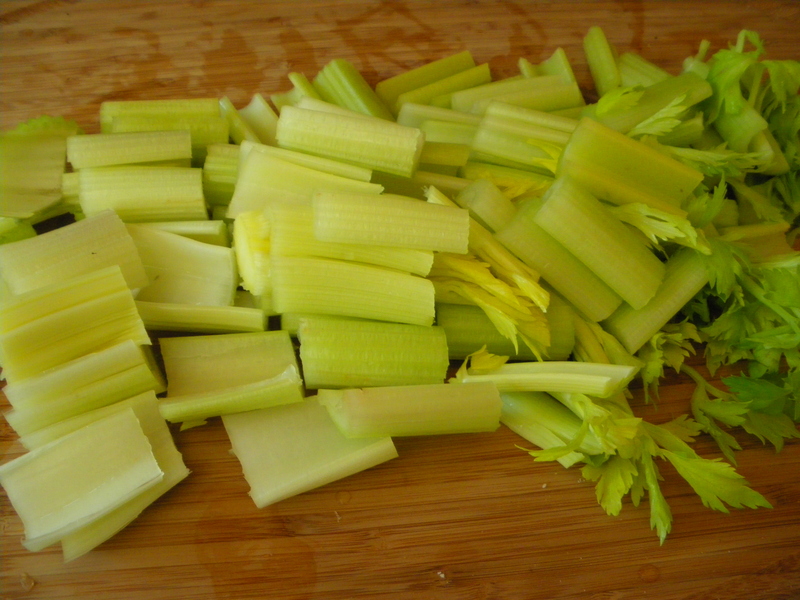 Cut the washed celery in pieces about 2 inches long, steam or boil in pressure cooker or large pot. Drain. (Save the broth for something else, it is tasty). In a Cocotte Le Creuset, add a tbsp olive oil and one nut of butter*, add the chopped onion and the minced garlic clove, brown lightly one minute, add the celery and keep on medium for another five minutes stirring every minute or so. Add La Baleine sea-salt and a twist of Fresh ground pepper from your Peugeot pepper mill. It is ready! 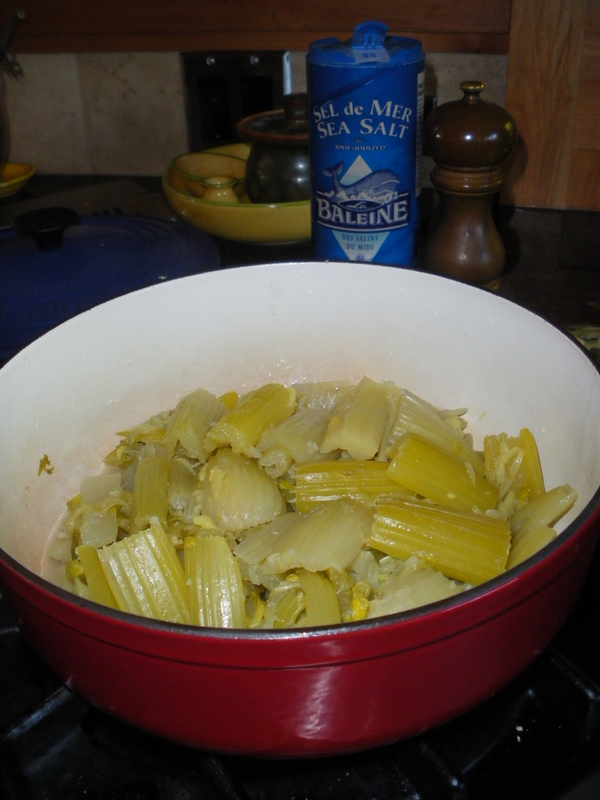 Note: You can also sprinkle the celery with grated Gruyère and finish under the broiler to brown the cheese. Or you can turn this into Celery au gratin by adding a can of Campbell condensed celery soup, then the Gruyère before browning in the oven. * a nut of butter is the size of a walnut, une noix de beurre. This entry was posted in Vegetables and tagged braised, butter, celery, cocotte, gruyere, Le Creuset, Peugeot pepper grinder, vegetable. Bookmark the permalink. probably in my top 10 all time favourites of your cooking.